I have a weird relationship with London. In recent times it’s getting better but I find that our relationship is always best if we aren’t together for too long, so I try to only see London on the odd weekend. A couple weeks ago London and I connected for the weekend and it was more than pleasant. Since I am based in New York, I tend to compare my restaurant experiences to that of NYC. I think London and New York share many similarities, they are both home to diverse ethnicities, public transport is widely used, they are both expensive etc. However it seems that the waves of ‘pop food culture’ are slower in London, with less food magazines, less popular food shows, less celebrity chefs but the waves are building up and I’m always ready to ride them. I found a place for a high school friend and I to go to brunch on Saturday. After arriving nearly an hour late because of delays and cancellations on the tube we went to Bill’s in Covent Garden. When I go to new places and I can’t make a decision as to what to order, I often ask the waiter or waitress what is their favourite dish. In this case it was “Bill’s vegetarian breakfast”. For only £7.95, I got poached eggs, tomatoes, hummus, mushrooms, guacamole, sweet chilli sauce and toast. The combination sounded weird but I went for it. Aside from the overgrown tree aka basil sprig on my plate the poached egg was creamy and the contrasting flavours of salty humus, juicy tomatoes and subtle avocado was harmonious. I have started incorporating ‘Meatless Mondays’ into my eating habits (diet sounds like a temporary effort to lose weight) because I think, for many reasons, it is a move towards a healthier lifestyle. Hence, I am really excited when I find genuinely yummy veggie options like this, that don’t leave me feeling deprived of meat. I felt greedy so I also had dessert even though I was more than full. (Don’t judge, we only live once 🙂 ) I chose the sticky toffee pudding that they should rename sticky EXTRA toffee pudding. 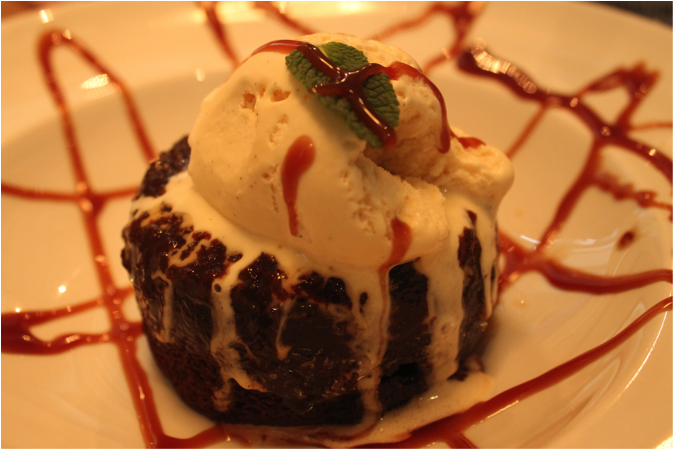 The warm pudding against the cold ice cream hit my soft spot. I have a weakness for hot and cold desserts. I would definitely recommend this brunch spot, the service was good the food scored well on the yummy scale and they have multiple locations. 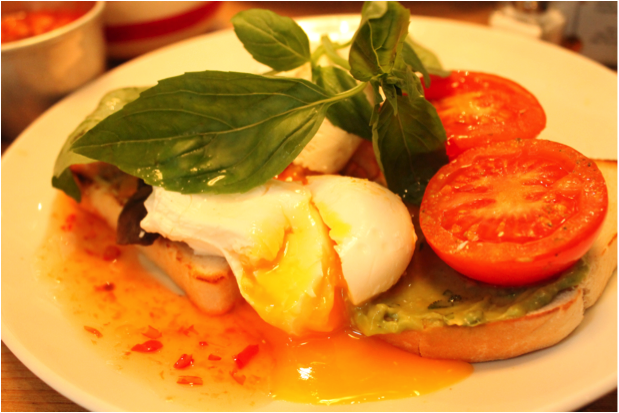 Bill’s brunch epitomises the perfect in-between-time-meal that you can find good food for a good price.